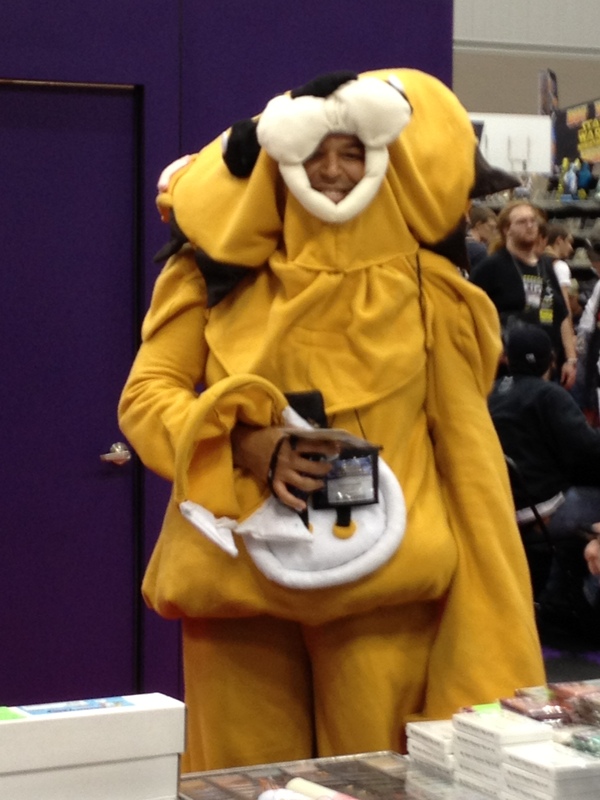 The good news is, this was probably the best Gen Con ever. The bad news is, I don’t know how we’re going to top it next year. It was pretty wild seeing all you Dragons Wandering around Gen Con and we hope you had as much fun as we did. Judging by the pictures that are coming in, it looks like you did. Great job, you guys are the best! Oh yeah, if that isn’t enough, on top of that, a big congratulations to Mark Maxey and Chris Leder! Mark won second place in the Gen Con Mini Painting Contest and Chris is working with Calliope Games to publish his “Trainmaker” and “Roll For It!” games! Again, how do we top this year? Thanks again everyone for making this the best Gen Con ever. Stay tuned for more info on the Wandering Dragon Gen Con Contest and a Post-Gen Con Show-N-Tell Meetup at The Dragon on 9/1. In the meantime, keep posting your t-shirt pics on our wall! Does it get any better! Are trainmaker and Roll for It on boardgamegeek? I’d love to take a look at our local game designer’s work! Just checked..they both are on BGG. Both look like fast, fun, interesting dice rolling games.